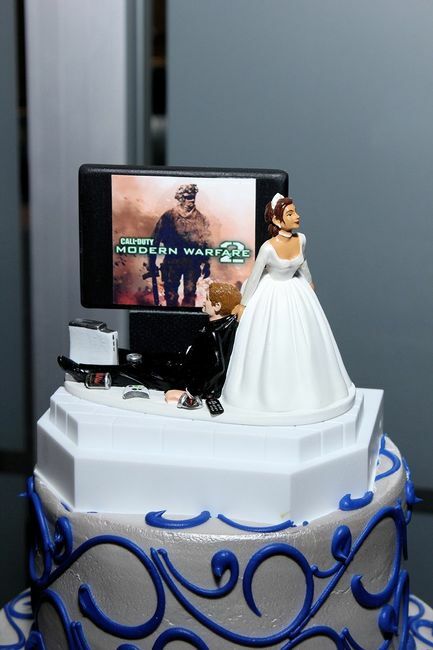 So since my FH and I are super into video games I would love to have a nerdy cake topper. 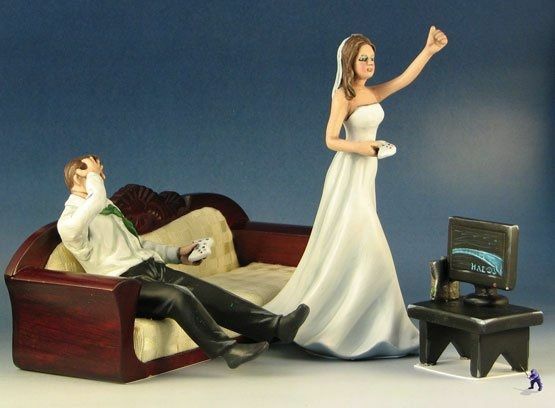 The only problem is all the video game topper I find are like the one below and the wife looks all pissed off. 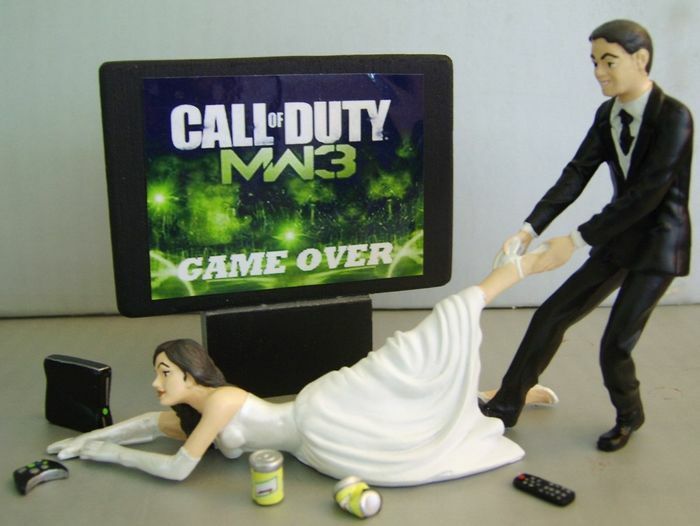 Has anyone seen any better cake toppers? 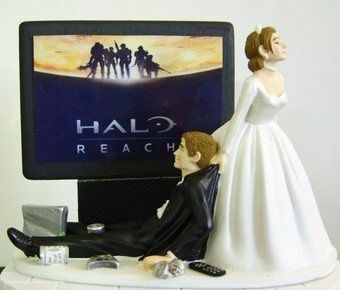 or does anyone know a good site for cake toppers in general? To the etsy!!! 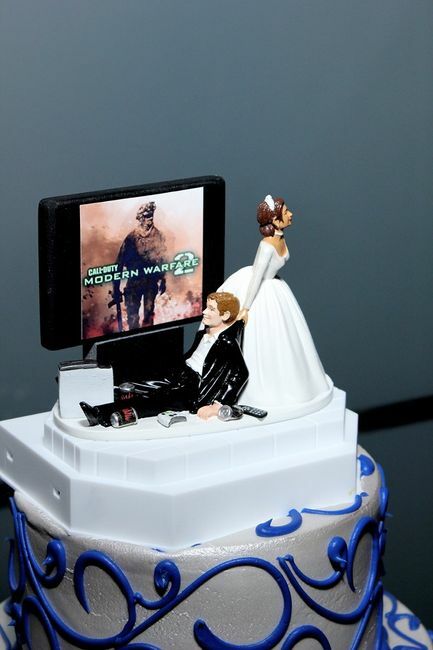 I typed in video gamer cake toppper. Edit: Okay, this was supposed to have a link in it but for some reason I can't get the link to work......stupid internets. But type in what I did and there are a few different options. 2. Or if you're more into it than him.. this Etsy seller will customize EVERYTHING! Game, cans and haircolor! Do you have a favorite game? You might be able to find the characters or find an etsy seller who does the characters in your likeness. @Rubylee thats is so cute..
Our friend is making ours. They're Princess Vespa and Lone Star from Spaceballs. Getting crafty friends on board may work for you!